Photo of: East Coast of Ireland: Dublin: Custom House. 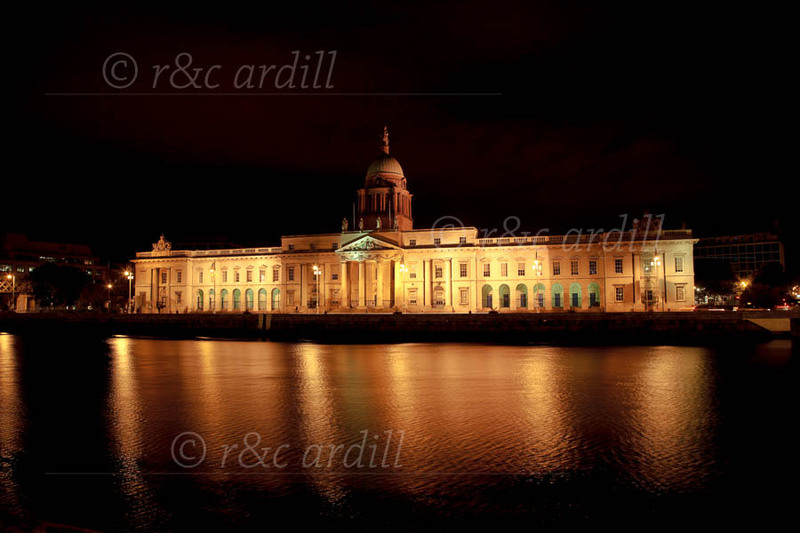 A photograph of the Custom House at night reflected in the river Liffey. The Custom House was completed in 1791. It was designed by James Gandon with the assistance of Meath stone-cutter Henry Darley, mason John Semple and carpenter Hugh Henry. It was to act as the new custom house for Dublin Port. The four facades of the building are decorated with coats-of-arms and ornamental sculptures (by Edward Smyth) representing Ireland's rivers.